Measuring retention and its associated factors are a vital element of running any successful health and fitness business. During 2013 two studies were conducted, one quantitative and the other qualitative, in order to benchmark the industry for the past four years and gain further insight into how members make decisions. While the White report focused on the analysis of member data from 342,759 members, the Black report was a series of interviews with 1,000 members that had held two or more health club memberships. These 1,000 members had accumulated a staggering 6,500 years of membership between them. The White report provided a unique insight into the retention and attrition rates of a representative sample of UK’s health and fitness clubs - members from 100 different clubs representing 38 operators across private chains, independent operators, trusts, local authorities and privately managed leisure facilities. Using recognised statistical methods for measuring retention and attrition as well as enabling the participating operators to compare their own performance against the industry benchmark. 52% of members maintain their membership for 12 months, with an attrition rate, members cancelling their membership, of 55.1 per thousand per month. Survival analysis, the method for calculating time between events, is the most appropriate method for calculating health club retention and attrition rates. This approach provides us with five measures (retention rate, retention time, attrition rate, odds ratios and hazard rates which all add to our understanding of member behaviour. The result of this study offers operators and researchers not only key related statistics, but also provide an industry retention benchmark. When operators are designing retention strategy’s that they need to achieve a figure higher than 52% of member’s maintaining membership for 12 months. Anything less than this and you are better off doing nothing. Despite what the popular media will report, members are most likely to quit in July and August (30-24%) and then again in November and December (14-14%). The retention rate for the complete sample is 51.9% of membership retain membership for at least 12 months, with 24.4% still there after 24 months, 14.1% survive to 36 months and only 10.4% maintain membership to 48 months. 5 out of every 10 members (51.9%) will still be a member at the same club one year after joining; only 1 in 10 are still members at four years. This is a much steeper decline in member retention than has been seen in previous national studies and is a little disappointing considering the maturing nature of the industry. Key factors associated with high retention, low attrition and increased longevity are age, signing a contract and the length of the contract. Age is still a dominant factor in predicting member retention. With older members staying longer. This is consistent with other studies carried out with operators all over the world. Compared to 16-24 year olds, on average, older age groups (35+) are 19-45% less likely to cancel their membership, so it’s surprising to see high-end health club chains targeting younger members as part of their new member drive. Whilst no difference occurs between genders, the descriptive data highlighted that, as a proportion, women were more likely to join public sector facilities than private. In the Black report we were able to identify that this was due to the WAG factor. Women were more likely to perceive that they will be judged on appearance and that they need to already look good to fit in. They felt less judged in public facility and that these facilities provided a wider range of classes and an option to pay-as-you-go. Whilst many operators prefer to describe how they manage their business by a descriptive term (low cost, mid market, premium), it is not possible to gain consensus on what these terms mean. A low cost operator may charge less than twenty pounds, but so might a public sector facility due to their location and population. That doesn’t mean they are low cost or budget, it’s just the price they charge. As seen in pervious national studies monthly fee and agreement length were key contributors to higher retention. The evidence suggests that charging lower monthly fees and promoting no contracts is not a formula for longer retention’? Whilst it is possible to sell a large volume of memberships, it has become increasingly difficult to retain those members. The premise that the lower the cost the more likely a member is to retain their membership does not seem to hold true over time. Contract was directly related to the length of the membership. Contracts of at least 12 months reduced the risk of quitting by approximately 18% compared to contracts of one month. This is the equivalent of saving around 18 members for every 1,000 members per month. Memberships sold as deals, such as three month or nine month contracts, have no discernible effect on 12-month retention rates. In fact members who have contracts between 2-5 and 6-11 months duration are 50 - 80% more likely to have quit at 12 months. Private sector clubs sell 48-55% of their memberships as 12-month contracts, compared to 7-15% in the public sector. Which may account for a retention rate of 57% in the private sector and 47% in the public sector at 12 months. As most 12-month contracts change to month-by-month after the 12-month period the difference between contract length disappears around month 18. Over the four years of the study (2009-2012) it was evident the monthly fee charged by all operators are decreasing. Members interviewed in the Black report identified that they knew how to negotiate a good deal and to wait for sale periods before committing to membership. 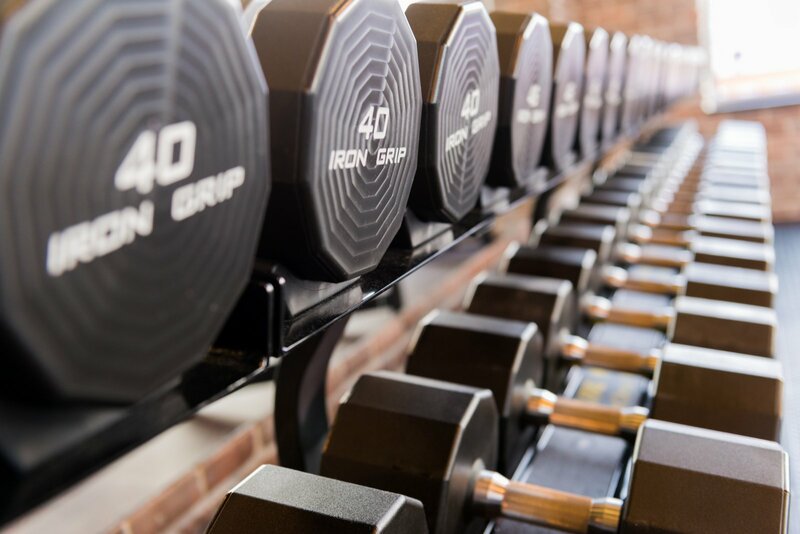 The quality of facilities within the fitness market continues to increase and it has become more difficult for the public to distinguish between public and private operators. The Mosaic profiles of members across the five sectors now have no distinguishable differences, which suggests members that were once only likely to join private health club chains are now just as likely to join public sector facilities. When the hotel groups are separated form the health club chains we can see that hotels and independent health clubs do better at retaining members than the larger branded companies. Hotels could begin to dominate the £45-60 per month price range, as they are able to provide all the services previously associated with the bigger chains, as well as a small club feel. Hotel members interviewed for the black report described the quality of service and the little extras as having a bigger impact on their club usage than brand or size of facility. These factors may well be behind the new trend for boutique and niche facilities, as they are more personable, smaller in size and offer just one or two products delivered exceptionally well every time. Aside from the financial and contractual means of improving membership retention, customer service has been shown to be associated with retention in the UK. Understanding the effects of customer service on membership retention would aid the development of a more complete business model for maximising the length of membership of every member. Within the black report, service was still a perceived determinant of member behaviour. The opportunity to have support from a trained member of the fitness team cannot be under estimated. Whilst many members reported not needing help themselves they are disappointed by the lack of advice and correction to members who clearly have poor or incorrect training habits. These savvy members are not impressed by large studio timetables once they have identified the number and type of classes that are relevant to them. The fitness industry continues to look for alternative solutions to retain members, despite the fact that members have repeatedly stated that service is of most importance to them while exercising. That includes, being spoken to, exercise correction and programme development. Maybe the rise of boutique and niche facilities will finally convince more established operators to listen to their members and provide them with clean, convenient, well equipped and well serviced facilities.